On 12 November, at 9am and 10.30am, we will be holding our Act of Remembrance to recall those who gave their lives in war and conflict, and to pray for peace. Dean Andreas will be reflecting on the Centenary of the Battle of Beersheba, led by former Lay Canon of the Cathedral, General Sir Harry Chauvel. Road closures will be in place to enable the City to Sea run. 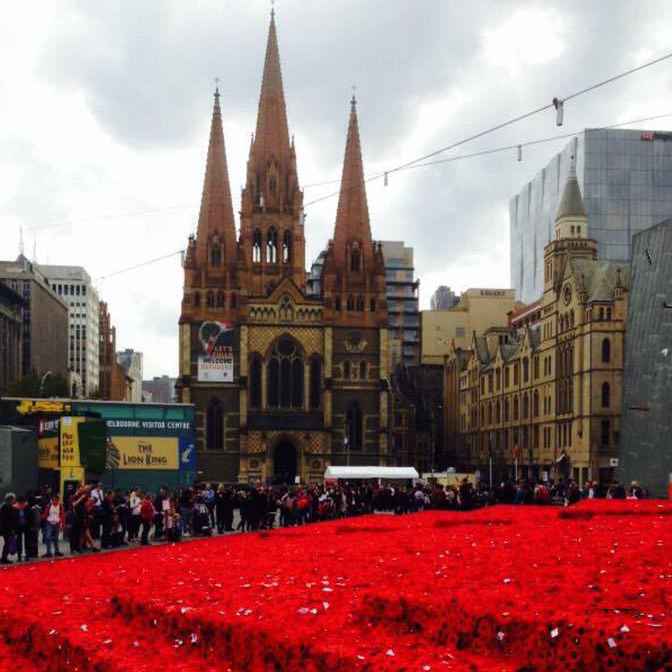 Flinders Street will be closed until 9.45am. Please plan your journey. A full list of road closures can be found here. We recommend travelling by public transport or parking in Russell Street.